One of the underlying strengths that allowed Red Dirt music to emerge from the hard Oklahoma clay was not just the close-knit nature of the friendships between the founding artists. It’s that Red Dirt was a democracy from the beginning. Cross Canadian Ragweed, Stoney LaRue, and Jason Boland may have blown up into regional superstars, but these artists weren’t going anywhere without bringing their compadres along with them. Regardless of who may have been enjoying the best name-recognition or was touring behind the hottest record at the moment, the Red Dirt alumni all saw each other as equals. As we all know, popularity and the quality/importance of music doesn’t always go hand in hand. In fact they rarely do. 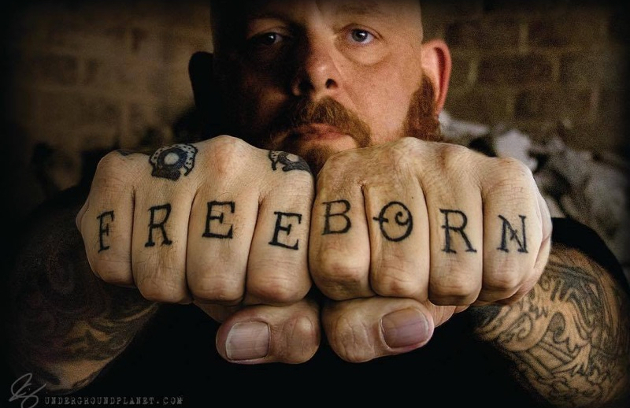 When you bring up the name of “Red Dirt Legend” Brandon Jenkins, it might not be as easily-recognizable to those from the outside looking in to the Red Dirt scene compared to Cody Canada, Stoney LaRue, or Jason Boland. But that doesn’t mean Brandon’s legacy holds any less importance. All you have to do is see the respect Jenkins receives from his peers to understand how crucial he is and was to Red Dirt, and why he earned the “Red Dirt Legend” handle many times over. The bones of Brandon’s influence on the music can be heard in much of what is labeled “Red Dirt,” and the case can be made that his song “My Feet Don’t Touch The Ground” is one of the most important and influential songs in the genre’s history. But like so many of the great artists of our day, you have to dig to find Brandon Jenkins. But that’s okay, because if you’re a long-time fan, you have an intimacy and a sense of ownership with the music, and if he’s a new discovery, the reward is that much greater as you begin to delve into the backstory and musical output. Not many took notice when Brandon Jenkins announced he would be releasing a new album on February 9th called Tail Lights in a Boomtown. He’s released many records over his career. There was no big media push for the new record. There were no “exclusive premiers” or big interviews preceding or following the release. Instead it was Jenkins playing a run of shows to promote it, and purposely kept it intimate. It was just him, and his songs. And Brandon Jenkins very well may have done that on this new record, with the with the gut-punching and emotion-laden “Fade To Black.” Every great artist or songwriter must have at least a little bit of divination in them. Tail Lights in a Boomtown is a great record even if Brandon Jenkins was out there healthy and happy. However when you hear these songs and themes, and take into consideration the current events surrounding his complications from heart surgery, it makes this effort nothing short of haunting. “Fade To Black” may be the best example, but most all of the songs of Tail Lights in a Boomtown hold such a deeper meaning, you can’t help but be moved. It’s almost like he wrote this album knowing what would befall him shortly before and after the release. Some country fans may take a little warming up to the voice of Brandon Jenkins. It’s a woody tone, that resolves in a warble at the end of phrases, but is more soulful (a la Chris Stapleton) than a twang. And on this particular record, the vocal is well out front in the mix. But once you get into the groove, Brandon Jenkins reveals himself as one of the more soulful singers out there. All the love and attention flowing to Brandon Jenkins in the aftermath of his heart surgery and the subsequent complications that followed is because his fans know what he’s capable of when he sits down to write a song, or goes into the studio to record an album, and what a loss it would be to the world if these things were taken from us, and in this case, so prematurely. 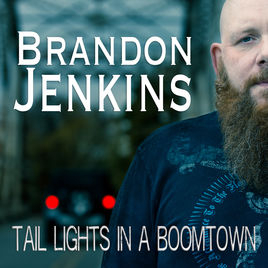 The emotionally-moving moments of Tail Lights in a Boomtown are the perfect example of the power of Brandon Jenkins to stir the soul, uplift the spirit, and impart a story that encapsulates the emotion of a moment near flawlessly. Tail Lights in a Boomtown can be purchased on iTunes, and you can also donate to Brandon directly via paypal. You can also purchase “Hearts Beat for Jenkins” merch that will go to support his hospital bills. His tenderness reminds me of Aaron Neville. We’re praying for you and your family, Brandon, and we’re praying your body recovers. “Tenderness” is a good way to put it. That’s what I hear in this song. The same day the new Brandon Jenkins album was released the new Wade Bowen album saw the light of day too (02/09). I bought a couple of Jenkins & Bowen tracks in the past. But never an album. My first impression of Tail Lights In A Boomtown brought me to buy the whole album. Right decision. The new Wade Bowen album on the other hand…maybe next time. Surprised to hear you don’t care for the new Wade Bowen album. It’s not my favorite album by him, but I think it is a step up from his last (self-titled) release which I found pretty mediocre. The songs came & went. No highlight but not bad enough to push the stop-button. The Brandon Jenkins album is a step up. The Wade Bowen album is more of the same. I agree. I have almost all Wade’s albums and theres nothing on this one that grabbed me. That’s good stuff. Real country music. I had never heard of this guy before you posted about his heart trouble a few weeks ago. That’s a really good song. Hope he pulls through. Dont like this one as much as “Down In Flames’.